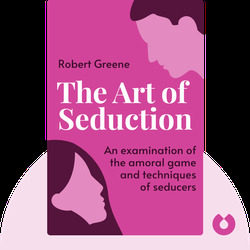 The Art of Seduction (2001) examines the amoral game of seduction, explaining how seduction always starts in the mind and that the most successful seducers know this very well indeed. 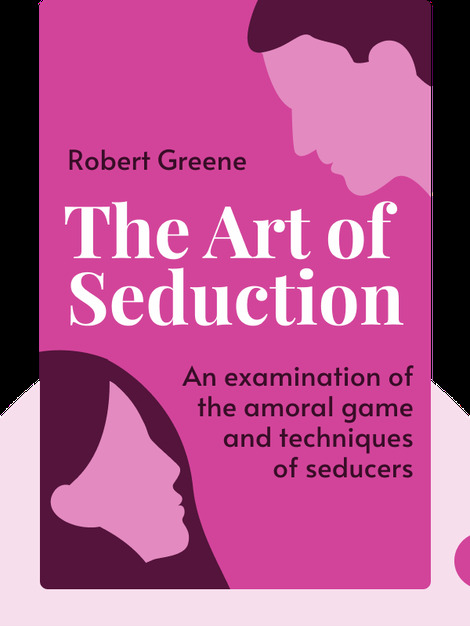 It explains strategies for inciting interest, disorientating the target of seduction, stirring desire and kindling emotions. These tactics will lead to the eventual seduction of the target. Robert Greene is a best-selling author. He wrote 48 Laws of Power and The 33 Strategies of War and Mastery. He has a degree in classical studies.